"I've been calling it a pregnant Thelma & Louise," author Vanessa Hua says. A River of Stars is a novel, the first from Hua, who is also a columnist for the San Francisco Chronicle. She spoke to NPR about the book. She's an only child, as many women or children from her generation are. And she has grown up in the countryside, dreaming of a life outside of the one that's been handed down to her. Her mother, by necessity, works in a family planning clinic. Scarlett, as a child, has witnessed the very draconian ways the government enforced the [one-child] policy. And so when she's a teenager, she decides to leave to go work in the factories. And the policy has made her ambivalent about having children. So when she comes to be pregnant and comes to America, it's a journey into motherhood and making a life in a new country. He has three daughters, and the sonogram seems to indicate that he's having a son, and because of the traditional preference for boys in China, this seems like just what he's been waiting for. ... Because for him, he sees U.S. citizenship as the gold standard — that having the passport means freedom to travel, it means potential opportunities in the future. It symbolizes everything that he wants for his child, even if he chooses not to exercise that at this moment. Yes, I was pregnant, and living in Southern California. And when I first heard about these maternity hotels of the sort that Scarlett and Daisy end up in, the news stories were really interesting. The neighbors were baffled: Why were all these pregnant Chinese women coming and going? Why were there diapers piled up in the garbage cans? It sounded like a brothel in reverse. And what really struck me was: Being pregnant is one of those vulnerable times in a woman's life. And what was it like to be so far from friends and family? And what was it about U.S. citizenship that was so important to them? The other thing about being pregnant ... was that when you're pregnant like I was with twins, you're hugely pregnant. I think when I went to the gym and went for a swim, people thought they were about to witness a water birth. But given that, people would always say, "Oh, come to the head of the line," you know, "Take this seat," and were very gentle and generous with me. But in the maternity hotel, you have a dozen pregnant women. So who gets the good wishes? Who gets to be queen bee? So it seemed like a situation ripe for drama — but also comedy. I think there definitely are ways in which people can make their way in this country. Of course, with the rhetoric out there, communities are frightened. Are we perceived as eternal foreigners, no matter how deep our roots, or how many contributions we make to this country in so many different ways? Whether it's in the activism we've been seeing, or even in the ways that we're asserting ourselves in entertainment and pop culture, we're not leaving. We're from here. We're here to stay. Denise Guerra and Viet Le produced and edited this interview for broadcast. Patrick Jarenwattananon adapted it for the Web. "A River Of Stars" is a kind of road story. Scarlett and Daisy, a factory worker from China and a Taiwanese-American teenager, go on the lam from the Perfume Bay, a secret home in Los Angeles where women from China are sent - by rich husbands, married lovers or prosperous parents - to give birth to their babies in the United States - to give them the most precious gift of all they say, American citizenship. But Scarlett and Daisy have their own suspicions about what might happen to them after they give birth. 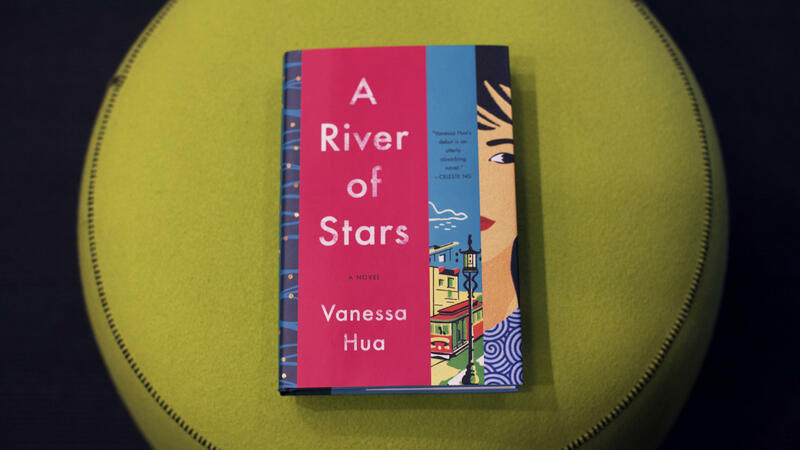 "A River of Stars" is a novel, the first from Vanessa Hua, who is also a columnist for The San Francisco Chronicle. She joins us from KQED in San Francisco. Thanks so much for being with us. VANESSA HUA: It's an honor. Thanks for having me today. SIMON: The father of Scarlett's baby is Boss Yeung. He owns a factory in China where she works. He is married. He has three daughters. Family lives in Hong Kong. Scarlett is from the countryside, where China's one-child policy has been in effect. What kind of life has she had? HUA: Well, she's an only child, as many women or children from her generation are. And she has, you know, grown up in the countryside, dreaming of a life outside of the one that's been handed down to her. Her mother, by necessity, works in a family planning clinic. Scarlett, as a child, has witnessed, you know, the very draconian ways the government enforced the policy. And so when she's a teenager, she decides to leave to go work in the factories. And the policy has made her ambivalent about having children. So when she comes to be pregnant and comes to America, it's, you know, a journey into motherhood and making a life in a new country. SIMON: Against expectation - at least my expectation - Boss Yeung is delighted to find out that his lover Scarlett is pregnant, isn't he? HUA: Yes, because he has three daughters, and the sonogram seems to indicate that he's, you know, having a son. And because of the traditional preference for boys in China, you know, this seems like just what he's been waiting for. SIMON: Why does he send her to a place like Perfume Bay? HUA: Because, for him, he sees U.S. citizenship as the gold standard - that having the passport means freedom to travel. It means potential opportunities in the future. It symbolizes everything that he wants for his child even if he, you know, chooses not to exercise that at this moment. SIMON: For reasons we won't go into, Scarlett decides to make a break for it. Daisy, the teenager, is a stowaway in the van she drives. What do they find in each other's company? HUA: Yeah, I've been calling it a pregnant "Thelma & Louise." SIMON: I almost put that in our lead. SIMON: But I've got to tell you. I thought that would be a tasteless thing for a man to say, so I didn't. HUA: (Laughter) Yeah, yeah. But, I mean, I think Daisy is a teenager. Scarlett is twice her age. You know, Scarlett is from the countryside. Daisy is from the city and from privilege. But they find a kinship in each other. I think there's an independence and a feistiness. And although, at first, they're sort of unlikely comrades, over time they form a makeshift family - especially as they settle into San Francisco's Chinatown. SIMON: And that's one of the pleasures of this book - is Scarlett discovering the U.S. You know, the first meal is McDonald's fries, as I recall. (Laughter) You write (reading) Scarlett discovers nothing signified your wealth and refinement more than dining on toy-sized food. She and Daisy discover a way to take advantage of that, don't they? HUA: Yes, like many immigrants, they are seeking a way to make a living. And they become entrepreneurs of sorts. And after a series of events, Scarlett creates something called the hand babao, which, you know, is her take on sliders but with a Chinese touch - roast pork, plum sauce, scallions. Yeah, they're delicious. SIMON: I gather you were beginning your own family when you began to write this novel. HUA: Yes, I was pregnant and living in Southern California. And when I first heard about these maternity hotels of the sort that Scarlett and Daisy end up in, you know, the news stories were really interesting. The neighbors were baffled. Why were all these pregnant Chinese women coming and going? Why were their diapers piled up in the garbage cans? It sounded like a brothel in reverse. And what really struck me was being pregnant is one of those vulnerable times in a woman's life. And what was it like to be so far from friends and family? The other thing about being pregnant and sort of the things that - how it influenced the novel was that when you're pregnant like I was with twins, you're hugely pregnant. I think when I went to the gym and went for a swim, people thought they were about to witness a water birth. HUA: So - but given that, people would always say, oh, come to the head of the line. You know, take this seat - and were very gentle and generous with me. But in the maternity hotel, you have a dozen pregnant women. HUA: So who gets the good wishes? Who gets to be queen bee? So it seemed like a situation ripe for drama but also comedy. SIMON: I don't want to give away plot developments about which Scarlett and Daisy helps save each other. But I do just want to stipulate that it's unexpected, clever, contemporary and truly Californian. SIMON: You don't even want to hint at it, right? HUA: People have said that it's surprising but yet inevitable - in the way that all endings you could ever hope would be. I'd been stuck for a while thinking about how I'd kind of address it. And I think I was like swimming a lap, and I thought, aha, this is what's going to happen. You know, the answer has been there all along. SIMON: Yeah. So many characters in your story say, in so many words, oh, that wouldn't happen in the United States. Or they'll take care of you here in the U.S. But I guess we have to ask in the summer of 2018 with separated families at the border - so much nasty invective toward immigrants. Do you believe that's still true? HUA: I think there definitely are ways in which people can make their way in this country. Of course, you know, with the rhetoric out there, communities are frightened. You know, are we perceived as eternal foreigners, no matter how deep our roots are or how many contributions we make to this country in so many different ways? Whether it's in the activism we've been seeing, or even in the ways that we're asserting ourselves in entertainment and pop culture, we're not leaving. We're from here. We're here to stay. SIMON: Vanessa Hua, her new novel, "A River of Stars." Thanks so much for being with us. (SOUNDBITE OF BROKE FOR FREE SONG, "BLOOM DAY") Transcript provided by NPR, Copyright NPR.